Chinchippus peruvianus Chamberlin, adult male, Paracas Bay, Ica Region, Peru. Chinchippus Chamberlin, 1920: 36-37; Roewer, 1934: 582; Muma, 1976:22. Chinchippus peruvianus Chamberlin 1920, by original designation. Chamberlin, R. V. 1920. 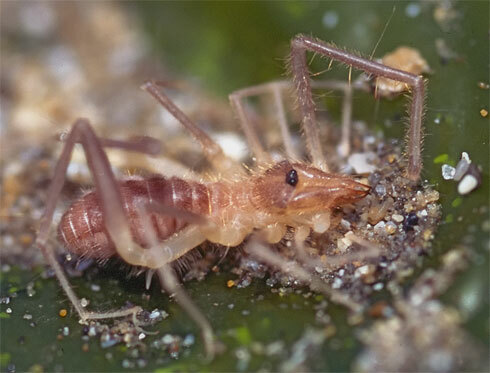 South American Arachnida, chiefly from the guano islands of Peru. Brooklyn Museum of Science Bulletin, 3 (2): 35-44.